This filling smoothie will keep you going all morning while giving you a healthy start to the day. 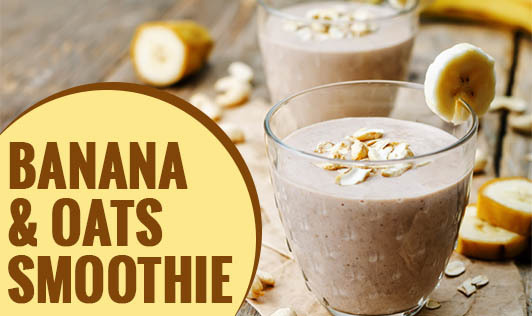 So start your morning with this thick and creamy banana oat smoothie which is not only delicious and healthy but also super quick to make!! Add oats to a blender and blend until they are the size of a fine crumb. Add the banana, yogurt, milk, flax seeds, honey, and ice.